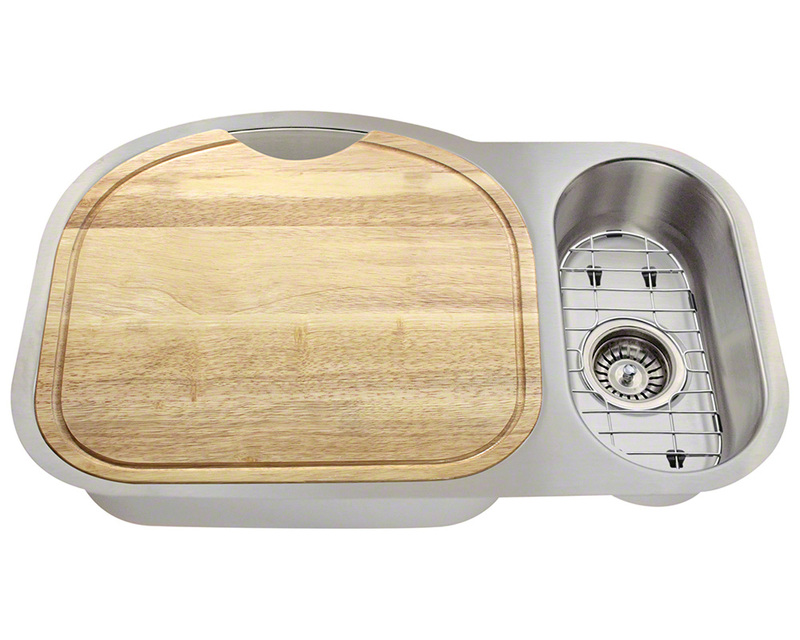 The PL925 Kitchen Ensemble features an offset, double-bowl sink constructed from in 18-gauge, 304-grade stainless steel. The larger bowl dominates this sink with its soft D-shaped design and offset drain; while the second bowl is narrow and shallow but with a centerset drain. This package comes complete with two grids to keep dishes or prepped food off of the sink itself, two standard strainers to catch waste materials, and a custom-fitted wood cutting board for the larger basin. 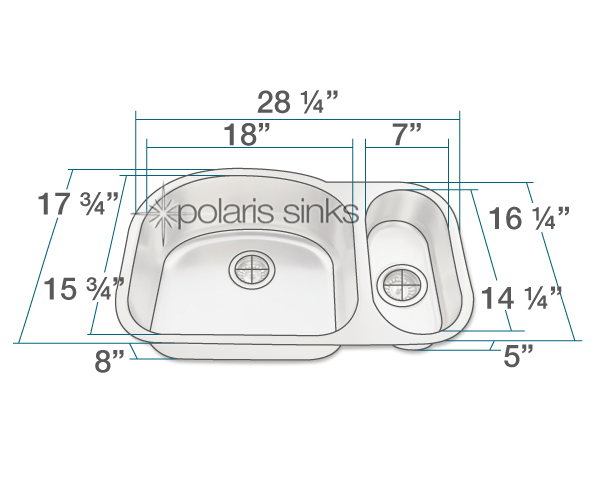 This undermount sink comes with a template, all necessary hardware, and the Polaris limited lifetime warranty. Compare with the reverse model, the 529R Kitchen Ensemble.